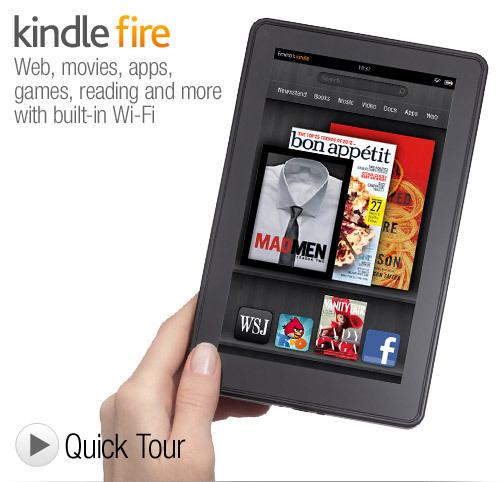 According to CNET, pre-orders for the new Kindle Fire are at record levels for Amazon. Estimates have the Fire predicted to sell 5 million units in the 4th quarter. US shipping starts in ONE MONTH! Don't miss out for Christmas gifts - Units are sent on a first come, first serve basis & if demand gets too high, the shipping date for new orders will be put back. Other new Kindles include the Kindle Touch, and the new basic $79 Kindle unit! http://amzn.to/Kindle-Touch-3G Kindle Touch 3G $149- $189. Touchscreen, no keyboard.